Made from the softest & highest quality organic cotton the Mini Splash collection has been one of the very first designs put on canvas from Tine & Barbara, the Soft Gallery founders. Reinvented over and over again throughout several collections, from smaller to bigger drops and in different colors, we are proudly bringing you the Mini Splash in its own permanent collection. 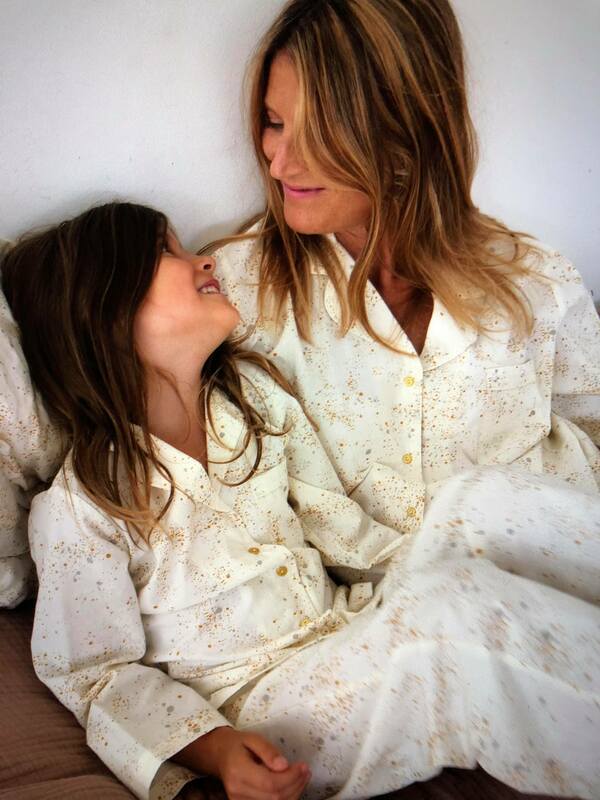 The mini splash pajama comes for both mother and daughter.